We’ve made it through another year in security… and what a year it has been. From global ransomware attacks to leaks containing billions of records, it has had it all. Cybersecurity is a constant news feature. Not a month goes by without a major leak, attack, or similar. Did you notice everything that went on? It is difficult to keep up — even for me, and I watch and read security news every day. With that in mind, I’ve collated and reviewed the year in cybersecurity so you can sit back and marvel at everything that went spectacularly wrong. 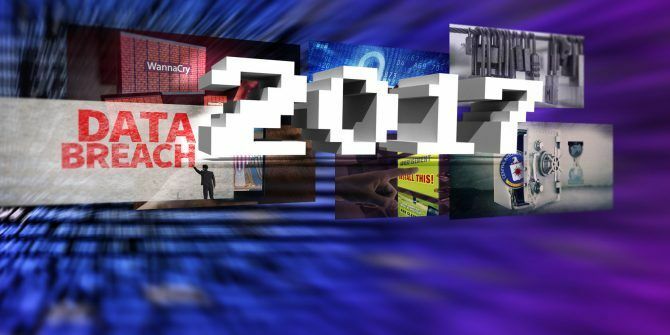 Security in 2017 was punctuated by a series of savage, extremely memorable events. Many of the events were so large they affected almost everyone on the planet. Some took down major institutions while others concerned truly astonishing data leaks from previously trusted institutions. Let’s check out the major events that shaped the year. In April 2016, a shadowy (get it?!) group known as the Shadow Brokers announced that they had breached a server belonging to an elite NSA-linked operation known as the Equation Group. At the time, The Shadow Brokers offered a small sample of supposed NSA hacking tools and data. Halloween and Black Friday 2016 saw The Shadow Brokers attempt to auction their ill-gotten gains, without much success. Apparently Shadow Brokers made some money on their auction (if they can collect). Maybe they're finally mastering whole capitalism thing? They were looking for 750 BTC — worth around $750,000 in January 2017 but over $9,000,000 at an all-time high in December 2017. Instead, they received around $18,000 worth of Bitcoin and released the entire dump of NSA hacking tools, online for free. The identity of The Shadow Brokers remains unknown. There is, however, wide speculation that it was an elite Russian government hack group looking to one-up their counterparts and illustrate that attributing nation-state hacks is a dangerous business. What happened next? The Global Ransomware Attack and How to Protect Your Data The Global Ransomware Attack and How to Protect Your Data A massive cyberattack has struck computers around the globe. Have you been affected by the highly virulent self-replicating ransomware? If not, how can you protect your data without paying the ransom? Read More Read on, friend. In amongst The Shadow Brokers hack tool trove was an exploit known as ETERNALBLUE (also stylized EternalBlue). EternalBlue exploits a known (now patched) vulnerability in the Microsoft Server Message Block (SMB) protocol, allowing attackers to insert specially crafted packets to execute malicious code on a target machine. The NSA warned Microsoft that hackers had compromised the EternalBlue exploit. Microsoft responded by canceling February 2017 security updates, patching the exploit, and rolling it all out in March 2017. Roll forward to May 2017 and the WannaCry ransomware attack hits, exploiting — you guessed it — EternalBlue and the SMB protocol vulnerability. WannaCry ripped through a reported 250,000 computers within the first 24-hours, encrypting machine after machine, demanding payment in Bitcoin for the private encryption key required to unlock each device How to Unlock WannaCry Ransomware Without Paying a Cent How to Unlock WannaCry Ransomware Without Paying a Cent If you've been hit by WannaCry, all your files are locked away behind a high price. Don't pay those thieves -- try this free tool to unlock your data. Read More . The U.K.’s NHS was hit badly, forcing some areas to run on emergency-only services. Telefonica, FedEx, Deutsche Bank, Nissan, Renault, the Russian rail service, Chinese universities, and more were directly affected by WannaCry. Marcus Hutchins, aka MalwareTech, curtailed the global ransomware epidemic by registering a domain name found in the ransomware source code. The domain name acted link a sinkhole for new infections. Rather than encrypting the device, the ransomware lay dormant. Later in the same month, the huge Mirai botnet attempted to DDoS How Can You Protect Yourself Against a DDoS Attack? How Can You Protect Yourself Against a DDoS Attack? DDoS attacks – a method used to overburden Internet bandwidth – seem to be on the rise. We show you how you can protect yourself from a distributed denial of service attack. Read More the WannaCry kill-switch domain site to bring the ransomware back to life (but ultimately failed). Others launched WannaCry variants designed to exploit the same vulnerability Prevent WannaCry Malware Variants by Disabling This Windows 10 Setting Prevent WannaCry Malware Variants by Disabling This Windows 10 Setting WannaCry has thankfully stopped spreading, but you should still disable the old, insecure protocol it exploited. Here's how to do it on your own computer in just a moment. Read More . Microsoft directly accused the NSA of causing the incident by stockpiling critical exploits for a number of operating systems and other critical software. Data breaches have become dime-a-dozen. They’re everywhere, affecting everything, and mean you have to change your passwords. But in June 2017, security researcher Chris Vickery uncovered a publicly accessible database containing voter registration details for 198 million U.S. voters. This equates to almost every voter going back some ten years or more. The data, collected and aggregated by conservative data firm Deep Root Analytics, was hosted on a misconfigured Amazon S3 server. Luckily for Deep Root Analytics, the majority of the data was publicly accessible, meaning it containing names, address, party affiliations, and so on. But a hacker could certainly find a use for that quantity of pre-aggregated personal information. Vickery said, “It’s definitely the biggest find I’ve ever had. We’re starting to head in the right direction with securing this stuff, but it’s going to get worse before it gets better. This is not rock bottom.” Worrying times, indeed. Rollup, rollup, the next enormous breach is here. The staggering Equifax data breach Equihax: One of the Most Calamitous Breaches of All Time Equihax: One of the Most Calamitous Breaches of All Time The Equifax breach is the most dangerous, and embarrassing, security breach of all time. But do you know all the facts? Have you been affected? What can you do about it? Find out here. Read More caught the attention of almost every American citizen. Why? Because the credit reporting agency suffered a major breach, failed to disclose the information, let board members sell stock before announcing the breach, and exposed the detailed credit history of almost every American citizen to whoever gets their hands on the data. Sounds bad, right? It was and is bad. Not content with exposing the credit history of hundreds of millions of citizens, Equifax repeatedly fumbled the cleanup operation. So, what happened? In December 2016, a security researcher told Motherboard, under anonymity, that they had stumbled upon an online portal meant for Equifax employees only. The researcher exploited a “forced browsing” bug and immediately gained access to the records of millions of U.S. citizens. The researcher informed Equifax of the vulnerability as a responsible disclosure. Keep this breach in mind. In September 2017, reports emerged that Equifax was victim to a major cybersecurity breach — but the breach had taken place in March 2017. The breach appeared to come from the same vulnerability as previously detailed to the credit agency. At the same time (still in September), Equifax announced data theft impacting 145 million U.S. consumers, as well as between 400,000 to 44 million U.K. residents and 8,000 Canadians. 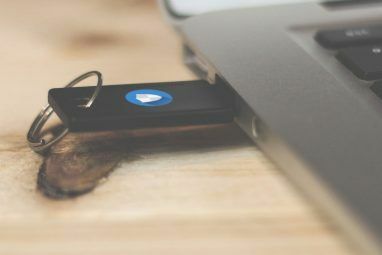 The hackers recovered personal information including full names, birth dates, addresses, Social Security numbers, and several other vital information types, such as driver licenses. Simply put, it is one of the worst data leaks ever seen. But it gets worse. In the days following the announcement, the Equifax account recovery and assistance site How to Check If Your Data Was Stolen in the Equifax Breach How to Check If Your Data Was Stolen in the Equifax Breach News just surfaced of an Equifax data breach that affects up to 80 percent of all U.S. credit card users. Are you one of them? Here's how to check. Read More was marked as spam by OpenDNS and taken offline, presumed to be a phishing site. Oh, and to check their account status, users were required to enter the last six digits of their Social Security numbers — the irony wasn’t lost. Then the site started returning false information. Numerous reports of users entering completely false information returned positive results, informing the user that their data was lost. And then a phishing site popped up, further clouding the already murky waters. Adding insult to injury, Congressman Barry Loudermilk introduced a bill to the U.S. House of Representatives that essentially stripped consumer protections directly in relation to business conducted by U.S. credit agencies. The bill also attempted to quash all punitive damages. Loudermilk previously received $2,000 during the 2016 election cycle from Equifax. No hacking group has come forward with data as yet. When they do, however, you can be sure the data will carry a hefty price tag. #Vault7 was interesting to infosec people, and newsworthy in that it showed CIA incompetence. But 8 months of silence after teasing #MediaOps was sketchy and disappointing. I wonder if too many would-be leakers got cold feet after nonstop Russiagate hysteria. The documents are essentially a highly detailed catalog of powerful hacking tools and exploits. In amongst the trove are instructions on compromising Skype, Wi-Fi networks, PDF documents, commercial antivirus programs, password theft, and much more. Cybersecurity firm Symantec analyzed the tools and found several descriptions matching tools “used in cyberattacks against at least 40 different targets in 16 different countries” by a group known as Longhorn. The Symantec analysis of development timelines for certain tools and their use against specific targets further corroborated the authenticity of the Vault 7 contents — and their direct link to the CIA. Those five events were probably the biggest, most shocking revelations of the year. But they weren’t the only major events. There were several data breaches involving mind-boggling numbers; the River City Media dump alone contained 1.4 billion email accounts, IP addresses, full names, and more 711 Million Email Addresses Compromised by Onliner Spambot 711 Million Email Addresses Compromised by Onliner Spambot Read More (and that is without considering that RCM themselves are a shadowy group of spam purveyors). The figure below is simply staggering, but represents a 56 percent in recorded lost or stolen records since I wrote the last end of year report. Or how about the U.K.’s NHS? The creaking National Health Service suffered its worst data breach event in March 2017. An accidental disclosure exposed the private medical data of 26 million records, accounting for 2,600 health practices around the country. Or the so-called Big Asian Leak, a hacker’s database containing more than 1 billion records pilfered from several major Chinese technology companies? That one barely even made the news outside of Asia and cybersecurity circles. If you’d like to understand more about the heft numbers behind each breach, I suggest browsing through Breach Level Index. Alternatively, this Identity Force list is also comprehensive. This year, the WannaCry ransom-worm detailed earlier has entirely skewed the infection landscape. A recent Sophos report [PDF] elaborated that while “Cerber has been the most prolific ransomware family . . . its power was overshadowed for a few months . . . when WannaCry stormed the planet on the back of a worm.” Other attack vectors, like malvertising, phishing, and spam with malicious attachments, have also seen considerable rises. Other extremely virulent strains, such as Petya/NotPetya/GoldenEye Everything You Need to Know About the NotPetya Ransomware Everything You Need to Know About the NotPetya Ransomware A nasty form of ransomware dubbed NotPetya is currently spreading around the world. You probably have some questions, and we definitely have some answers. Read More upped the ransomware attack level by encrypting the Master Boot Record, forcing a reboot to enable the encryption process, running a fake CHKDSK Command Prompt to disguise the process, and demanding a substantial ransom to decrypt the system. For instance, a common malvertising What Is Malvertising and How Can You Prevent It? What Is Malvertising and How Can You Prevent It? Malvertising is on the rise! Learn more about what is it, why it's dangerous, and how can you stay safe from this online threat. Read More tactic What Is Malvertising and How Can You Prevent It? What Is Malvertising and How Can You Prevent It? Malvertising is on the rise! Learn more about what is it, why it's dangerous, and how can you stay safe from this online threat. Read More (known as cryptojacking) is redirecting the user to a site running a cryptocurrency miner in the background Are Websites Using Your CPU for Cryptocurrency Mining? Are Websites Using Your CPU for Cryptocurrency Mining? Online adverts are unpopular, so infamous online piracy site The Pirate Bay has hit upon a solution: use every visiting PC to mine cryptocurrencies. Would you be happy if your PC was hijacked like this? Read More . In some cases, even after closing the offending tab, the cryptocurrency mining script carries on running. Other instances simply lock a web page down What Is Malvertising and How Can You Prevent It? What Is Malvertising and How Can You Prevent It? Malvertising is on the rise! Learn more about what is it, why it's dangerous, and how can you stay safe from this online threat. Read More and issue a ransom to unsuspecting users, or force-download malicious exploit kits to the device. In Q3 2017, Kaspersky Lab found that 59.56 percent of global email traffic was spam — up 1.05 percent from the previous quarter. Of that spam, Symantec estimated one in every 359 carries a malicious attachment, while email, in general, remains the #1 delivery mechanism for malware. Not only has the amount of malware, ransomware, spam and similar increased, but our general privacy is decreasing at a time of increasing surveillance. At the turn of the year, we were still coming to terms with the colossal Yahoo! data breach. I’ve not included it in this yearly review because the majority of information arrived in December 2016 — after I wrote last year’s review, but importantly, before 2017. The long and the short of it is this: Yahoo! suffered multiple data breaches throughout 2016 resulting in the leak of billions of individual records. It was so bad it almost destroyed the enormous Yahoo/Verizon merger. However, the following stats are post-Yahoo, but pre-Equifax and Voter Registration leak, so bear that in mind. In January 2017, Pew Research reported that “a majority of Americans (64 percent) have personally experienced a major data breach and relatively large shares of the public lack trust in key institutions — especially the federal government and social media sites — to protect their personal information.” Given the Equifax leak exposed 145 million citizens, and the Voter Registration leak exposed 198 million records, I’m willing to bet that percentage has significantly increased. Regarding surveillance, just 13 percent of the U.S. public say it is “not at all likely” that the government is monitoring their communications. This, after the significant reduction in NSA metadata capture-reach What Can Government Security Agencies Tell From Your Phone's Metadata? What Can Government Security Agencies Tell From Your Phone's Metadata? Read More , is telling. Nearly 80 percent of U.S. adults under the age of 50 believe their communications are tracked. However, in the over-50 bracket, this figure drops to around 60 percent. Here it is, the good news you await. The overall number of phishing sites has dropped from a high of over 450,000 in Q2 2016 to around 145,000 in Q2 2017. Celebration time! Not so fast! The overall number of phishing sites has significantly decreased, but the variety of phishing methods has increased. 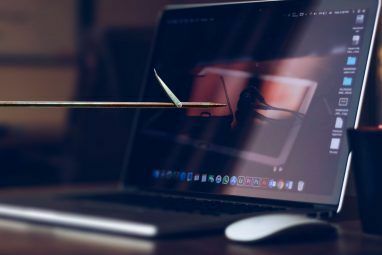 Instead of simply using baited emails, malefactors are spreading their malicious arms throughout instant messengers and other communication platforms. 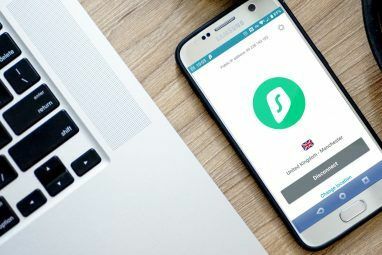 Fake airline tickets, supermarket voucher scams, free coffees, furniture, cinema tickets, and more have featured on WhatsApp, SnapChat, and other instant messengers. At this point, you’re probably thinking “Please, just let it end.” Well, you’re in luck! You’ve reached the end of this thorough-but-entirely-bleak 2017 cybersecurity review. To summarize: as threats increase, their damage is worse, costs more, and have wider implications. Staying safe online isn’t entirely easy. But it doesn’t have to be a chore, either. There is a single interlinking factor between every attack. Guessed it? That’s right: it is the human factor. Education toward basic cybersecurity skills mitigates a phenomenal amount of potential problems. But in reality, we have to accept that privacy as we once knew it is long gone Avoiding Internet Surveillance: The Complete Guide Avoiding Internet Surveillance: The Complete Guide Internet surveillance continues to be a hot topic so we've produced this comprehensive resource on why it's such a big deal, who's behind it, whether you can completely avoid it, and more. Read More . Every internet user sits atop a mountain of aggregated data. The internet (and with it, big data) developed faster than other world-changing technologies. Unfortunately, users get caught in the mire. It isn’t too late to educate yourself and those around you. It will almost certainly make a difference. And you don’t have to spend thousands of dollars to be secure, but it might save you that further down the line. A great place to start is with our guide to improving your online security. Were you hit by a security breach in 2017? Tell us in the comments. Explore more about: Computer Security, Online Security, Ransomware, Surveillance. How to Handle a Copyright Infringement Notice From Your ISPIs Bitmoji a Threat to Your Privacy? Great overview. It certainly was a tough year. I suspect 2018 will be no less eventful.